CareOne Debt Relief Services believes responsible providers of debt relief should embrace the transparency required to have a presence on social media channels. CareOne’s well established Community of over 1 million users provides that transparency by connecting customers and consumers, providing a place to share stories, ask for advice, have their questions answered, and even complain in an open forum. In addition to providing transparency, the goal of the community is to connect consumers struggling with similar financial situations, and also provide help in an industry where issues often go unaddressed. If a customer is unhappy with their debt consolidation service or would like to see things change, CareOne provides them with the platform to be heard. As social networking becomes a key part of everyone’s daily life and a more common way of communicating with the world, CareOne has responded by giving the consumer the ability to do so in a way that is convenient and practical. Find CareOne on Twitter @CareOneWorks for the latest in debt relief news and CareOne customer and employee stories, @AskCareOne for the answers to debt related questions, and @SuzanneCramer1 for the straight talk on debt. CareOne launched their CareOne Debt Relief Services Facebook page last year as an extension of the community to provide another channel for customer stories, advice from financial experts, questions and customer issues. CareOne may also be found on Linked In, Google+, YouTube and Pinterest. CareOne’s founder, Bernie Dancel was an early adopter of social media and has embraced social networks to share his message, that he understands how hard it is to get out of debt because he’s been there, he’s been in their shoes. Dancel says, “I know social networks are important to many of our customers and I want to be able to communicate with them through the channels that they are using.” Find Dancel on Twitter @BernieDancel, tweeting everything from debt relief industry news to football. 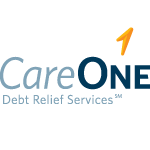 CareOne Debt Relief Services is the nation’s largest provider of debt relief services with over 5 million people helped to date. CareOne was created by Bernie Dancel, who was once in debt himself, and supported by many employees who have had their own struggles with debt and found a successful way out. It is this foundation of shared experience that sets CareOne apart from the rest of the debt relief industry. CareOne knows what being in debt feels like, and more importantly, what it takes to get out. Visit CareOne at http://www.CareOneCredit.com for more information about the company and services.